Would you like to join our specialist team of lawyers? Due to expansion, an exceptional opportunity has arisen for a newly qualified Family Lawyers to join our thriving Family Department. The role will cover the full breadth of Family matters including but not limited to: Drafting co-habitation and pre-nuptial agreements to settling divorces, advising on / resolving financial matters and dealing with children issues. This role will require the Family Lawyer to work on 100% privately funded work. The ideal candidate will have a good working knowledge of Family Law matters and be able to work individually as well as part of a team. The successful Family Lawyer will have a minimum of 12 months experience and be comfortable in managing their own case load with minimal supervision. However candidates with less experience should not be discouraged as they will also be considered depending on their hunger and drive to learn. The chosen candidate will be supervised by the Head of the Family Department who has over 15 years of experience, is a member of Resolution as well accredited by the Law Society. Working under the supervision of such an individual is a fantastic opportunity for the successful candidate to develop their own experience within the area of Family Law. Furthermore, you must possess excellent client liaison skills and have the ability to empathise when dealing with clients whilst still maintaining your professionalism.. This is a great opportunity to develop and thrive in a stimulating and challenging arena. At AMT Lawyers, we understand the sensitive nature of the Family work we undertake and therefore a pro-active and constructive approach is required to handle such cases. We expect the ideal candidate to possess such qualities which will make them a great asset for our firm. Good academic records together with excellent interpersonal and communication skills are highly sought. This position would suit Family Lawyers looking for a role within a firm which is renowned for its excellent reputation in the North West. In return, we offer a highly competitive salary along with an excellent bonus structure package. If you are interested in working with us then please send us your CV and a covering letter telling us what you have to offer and why you would like to work with us. As one of the fastest growing Law firms in the North West, We are now looking for additional fee earners to join our Personal Injury department. In little over 4 years our Personal Injury department has gone from strength to strength, growing every year and improving our services to all our clients. We are now searching for additional fee earners to join our team and to help promote our continued success. Keeping this growth in mind, we offer a competitive salary along with exciting opportunities for progression including training contracts and management/team leader positions. The successful candidate can expect to work with a supportive team in a dynamic and friendly environment. We truly care about our employees and this will be evident for the successful candidate as we have many superb benefits and bonuses in place for all our employees. In order to be considered for this role, the candidate must have experience in the RTA sector of Personal Injury, and preferably in the Litigation Process. It will help your chances greatly in getting this role if you have experience in managing your own case load. Litigation experience is essential as well as experience with RTA fast track, portal and non-portal claims. This vacancy requires an individual with excellent communication and interpersonal skills, and to work as part of a close knit team. A demonstrable enthusiasm and drive for Personal Injury Law is a must, as well as the ability to build relationships with clients. The candidate must also be able to identify opportunities for marketing and business developments in order to expand the department further. • Managing your case load to ensure your clients are up to date, informed and satisfied. In return the firm will provide the successful candidate with a competitive salary and benefits package and genuine prospects of career progression. A fantastic opportunity has arisen at AMT Lawyers for a Newly Qualified Personal Injury Lawyer to join a progressive law firm based in Blackburn. This is an opportunity to become a specialist in this field joining a team of recognised Lawyers who will help develop your career. Your role as a Newly Qualified Personal Injury Lawyer will involve: assisting experienced members of the team with varied PI related matters, develop and grow within the team in order to progress your further. Ideally, candidates with a strong claimant RTA background are encouraged to apply as they will be able to hit the ground running with minimal training. You will be experienced in dealing with liability, quantum and costs. In particular, you will be well experienced in the mechanics of the Part 36 procedure and also experience of working on the MOJ Portal. Experience of dealing with technical points of insurance law, such as MIB work, the European Regulations and Article 75 issues would be advantageous. However please note, candidates who lack experience in the skills mentioned above should not be discouraged as we deem general qualities just as important. We believe general qualities play a vital role in the performance of a successful Lawyer. We will look for you to be a robust negotiator with excellent communication and time management skills whilst being totally customer focused throughout the entire claims process. It is preferred that you have experience of working on a case management system and are used to working towards targets, including financial targets. A competitive salary and excellent benefits package will be provided to candidates of the right calibre. A brilliant opportunity has arisen within our Personal Injury department. As a result of continued growth we wish to recruit personal injury fee earners into our Personal Injury department. 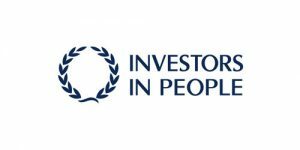 This is a great opportunity to join a prestigious personal injury department which continues to grow despite the effects of the recent reforms to the personal injury law and market. The ideal candidate will have experience of managing their own volume case load of claimant Fast Track RTA personal injury claims, comprising both litigated and pre-litigated matters. We also seek general qualities in our fee earners that we believe play a vital role in the performance of fee earning. We will look for you to be a robust negotiator with excellent communication and time management skills whilst being totally customer focused throughout the entire claims process. It is preferred that you have experience of working on a case management system and are used to working towards targets, including financial targets. You will report to the RTA Team Leader who will review your performance each month on a one-to-one basis. This provides a real opportunity to monitor and enhance your personal development and to organise your case load. For the right individual, this is also an opportunity to take on a more challenging role. Your main responsibilities will be to progress claimant personal injury RTA claims from inception through to completion. This role would suit any candidate with at least six months’ experience. At AMT Lawyers we understand that graduates and non-graduates do not all have experience and therefore we are willing to take on individuals who are eager to learn and strive towards success. Training will be given to candidates without experience. The firm will consider paralegals and fee earners in order to strengthen its team. At AMT Lawyers we pride ourselves on delivering a first-class service that places the client at the heart of everything we do. We are always looking for exceptional people to join our team and help to grow our practice further in size and strength. Maintains security by following procedures; monitoring logbook. Various administrative tasks for all departments in the office. Client care aimed at office clients and recommenders. Liaising with various sources of business. Keeping up to date with enquiries and instructions using a tailored database system. A competitive salary and excellent benefits package will be provided to candidates of the right caliber. Respond to issues requiring a good understanding of work-area policies and procedures. Resolves complex problems in a thorough and timely manner; use discretion and know who to go to in order to resolve issues and complete tasks. Take a moderate level of accountability in the delivery of services offered by AMT Lawyers. Analyse and interpret a variety of situations and determine the most appropriate course of action. 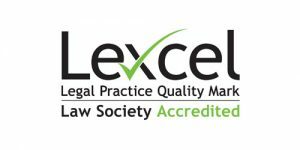 Work with colleagues to co-ordinate, develop, improve and work to Lexcel standards. • Responsible for supporting others. • Share information, verbally and in writing, in a clear and concise manner. • Tailor communication to different audiences and clients. • Obtain necessary level of information to inform decision making guided by general instructions and practices requiring interpretation. • Exercise confidentiality in relation to personal and sensitive information based on AMT Lawyers policy and procedures. • Detailed knowledge and understanding of own work area and how it impacts wider operations within AMT Lawyers. • Proactively research information from a range of different sources, internally and externally to help inform own knowledge to benefit the work of the team. • Develop expertise in a range of areas and practice within the firm. • Understands the risks associated with the nature of the service you are supporting and identifies areas of concern, taking any initial remedial action and raising these appropriately with the head of department and partner. • Ability to transfer skills to a range of service areas with specific support and knowledge available. • Ability to pick up variance in approaches within specific support and knowledge provided. Willingness to comply with the Solicitors Regulation Authority rules as well as the practice policies and procedures whilst maintaining flexibility in the work completed and personal mind set. To work positively and inclusively with colleagues and customers so that AMT Lawyers provide a quality service and additionally to deliver services that do not discriminate against people on the ground of their age, sexuality, religion or belief, race, gender or disabilities. To fulfill personal requirements, where appropriate, with regard to AMT Lawyers policies and procedures, health, safety and welfare, customer care, emergency, evacuation, security and promotion of the firm’s priorities. Maintaining and upholding the firm’s reputation whilst dealing with all aspects of the role. To work flexibly in the interests of the service. This may include undertaking other duties provided that these are appropriate to the employee’s background, skills and abilities. Where this occurs there will be consultation with the employee and any necessary personal development will be taken into account. At AMT Lawyers we pride ourselves on delivering a first class service that places the client at the heart of everything we do. We are always looking for exceptional people to join our team and help to grow our Conveyancing Department further in size and strength. We are now offering Graduates (with or without completing the LPC) to join our team as a Conveyancing Paralegal. We prefer candidates with at least 6 months experience however candidates without experience who are driven and committed will also be considered. The candidate will assist a Conveyancing Lawyer helping with a caseload from instruction through to completion. This will include sales, purchases, transfers and re-mortgages. At AMT Lawyers comprehensive training is given by our experienced Lawyers so the candidate is able to help with the case work mentioned above. Once the candidate has received a high level of training and has also gained sufficient experience, we will expect the individual to deal with a high volume of matters with minimal supervision. We provide ourselves on the quality of service we provide our clients and therefore merely completing the work is not enough. We will expect the candidate to maintain excellent standards of work, achieve set targets and adhere to client service level agreements. Experience in using a case management system is desirable however training to utilise this tool will be given. This vacancy requires an individual with excellent communication and interpersonal skills, and to work as part of a close knit team. A demonstrable enthusiasm and drive for property law is a must, as well as the ability to build relationships with clients. The successful applicant will join a team of committed and experienced lawyers working in a friendly and professional environment. You will report to the Conveyancing Department Team Leader who will review your performance each month on a one-to-one basis. This provides a real opportunity to monitor and enhance your personal development and also to organise your case load. For the right individual, this is also an opportunity to ask for more responsibility taking on more challenging roles in order for you to maximise your potential and to also gain some vital experience. An exciting opportunity to join our Commercial Department in our Manchester Office has arisen. In this varied and challenging role, you will be handling a wide range of commercial property matters and also working closely with teams across the organisation. The role requires an immediate start and you to manage a caseload including sales and purchases, leases and development work. The work on offer is varied, fast paced and challenging. You will act on a broad range of property and property related matters. Your strengths should be in reviewing leases and contract documents. You will ideally have experience in high value sales and acquisitions, landlord and tenant work and commercial property re-financing. To be considered for this role, you must possess a strong commercial property background with a solutions based approach, be able to demonstrate a broad range of experience and be confident in dealing with your own case load. As there will be an element of corporate exposure, it would be an advantage if you have some corporate experience. The candidate must be able to work with the following types of clients on a day to day basis. This vacancy requires an individual with excellent communication and interpersonal skills, and to work as part of a close knit team. A demonstrable enthusiasm and drive for property law is a must, as well as the ability to build relationships with clients. The candidate must also be able to identify opportunities for marketing and business developments in order expand the department further. The successful applicant will join a team of committed and experienced lawyers working in a friendly and professional environment. A fantastic opportunity has arisen for a Residential Property Lawyer to join the Property Team in our Manchester office. The successful candidate will be involved in a wide range of residential property matters including sales, purchases, transfers and re-mortgages. You will have to possess quality real estate experience with a residential property focus in addition to the ability to grasp complex issues playing a pivotal role in the building and development of the practice. You will need experience in managing your own residential conveyancing caseload from instruction through to completion. The candidate must have experience in dealing with a high volume of matters whilst working with minimal supervision. At AMT Lawyers maintaining excellent standards of work are crucial, achieving set targets and adhering to client service level agreements. Experience in using a case management system is desirable.